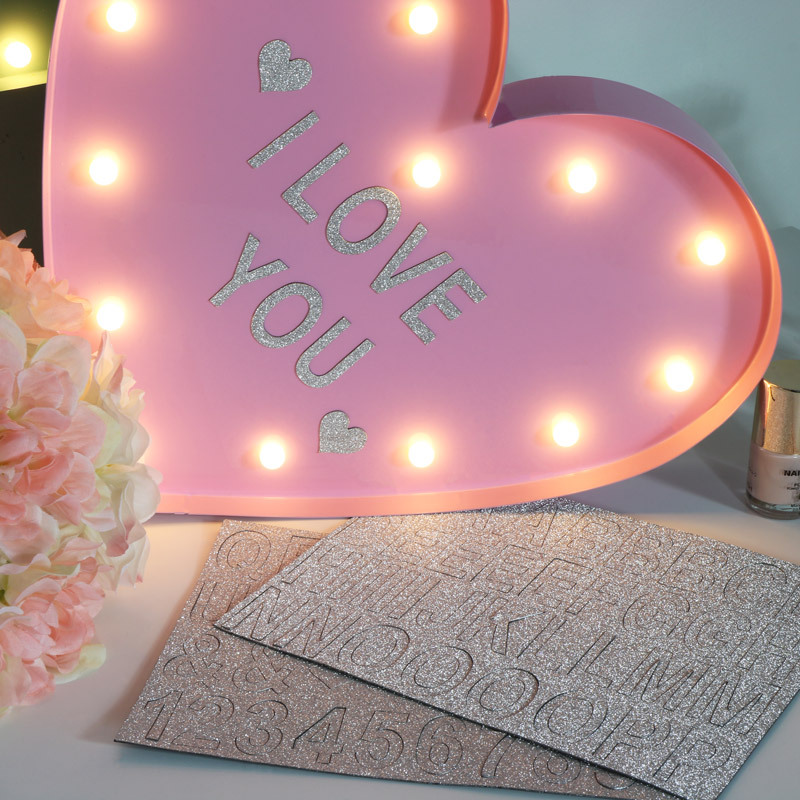 Whether its notes, quotes, memos or to do lists, this cute pink magnetic metal heart is perfect. It’s a perfect accessory for a child’s bedroom or a grown up girly bedroom. With 14 built in little LED bulbs around the edge of the heart that light up once switched on, it will make your memo stand out. Included are 70 individual magnetic letters, characters and numbers with a silver sparkly finish that can be easily removed and reapplied as often as you would like. Whether its notes, quotes, memos or to do lists, this cute pink magnetic metal heart is perfect. It’s a perfect accessory for a child’s bedroom or a grown up girly bedroom. With 14 built in little LED bulbs around the edge of the heart that light up once switched on, it will make your memo stand out. Included are 70 individual magnetic letters, characters and numbers with a silver sparkly finish that can be easily removed and reapplied as often as you would like. The LED lights require 3x AA batteries which are not included. Easily wall mountable with two holes in the back. 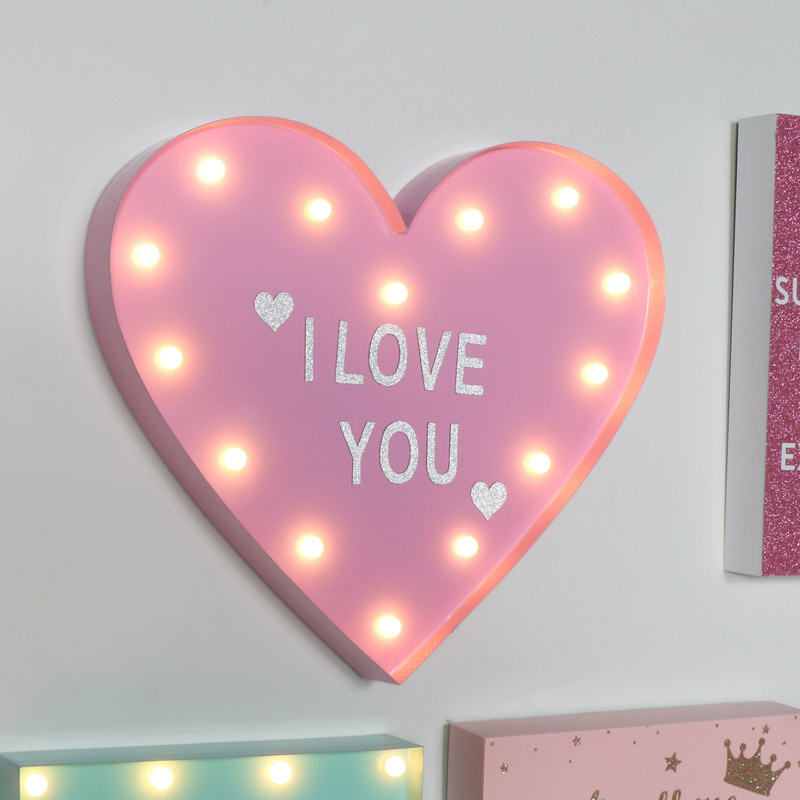 If you need Girly home accessories to brighten up your interior and décor then be sure to have a look at our fantastic items that we have online.